Nestled between the explosive 2019 450 EXC-F SIX DAYS and razor-sharp 250 EXC-F SIX DAYS, you will find the remarkably versatile 350 EXC-F SIX DAYS. 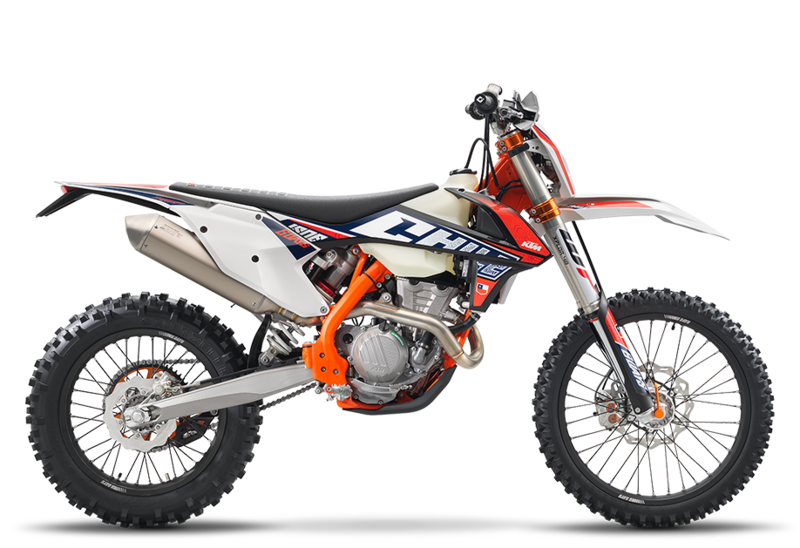 Pumped up with top-of-the-line components and special performance enhancements, the 350 EXC-F SIX DAYS is a force to be reckoned with. For 2019, the entire KTM SIX DAYS range will feature the colors of ISDE 2018 host country, Chile. Please Contact Us for further information.